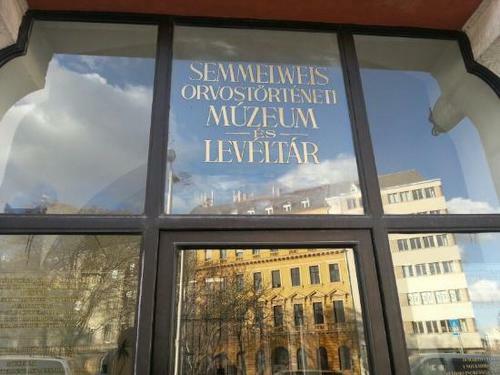 The Semmelweis Medical History Museum (Semmelweis Orvostörténeti Múzeum es Levéltàr), together with the National Medical History Library (1950) and the Archives (1974) make up the most important research basis of the hungarian medical history. 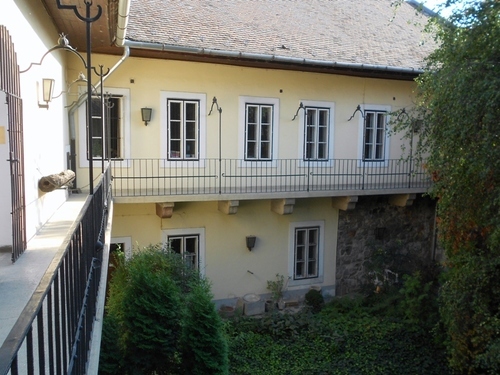 The Museum opened in 1965, and it is located in Aprod Utca, on the Buda side of Budapest. 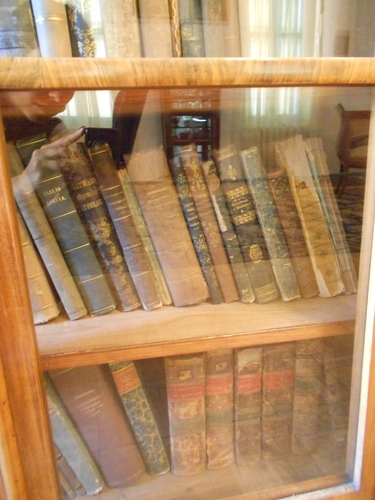 In the last four decades the collection got highly extended, and thus by now it forms one of the richest physician and chemist historical collections. 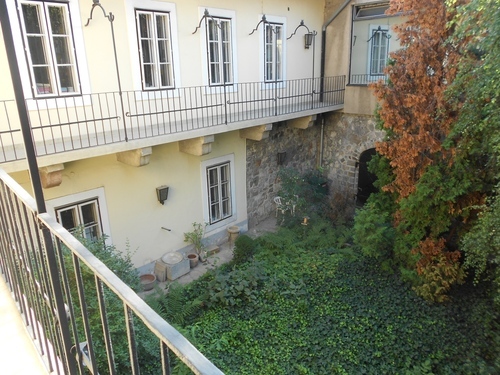 The collection embraces the hungarian medicine, pharmacy and medical system, but these are naturally supplemented by the objective relics of western medicine. 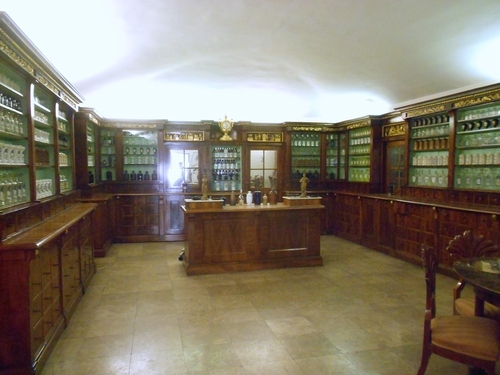 The permanent exhibition represents the development of western medicine from the prehistoric age to the beginning of the 20th century and special emphasis was placed on the development of hungarian medical system, the work of Ignaz Semmelweis and the establishment of the modern hungarian medication. The Museum is founded in the former house of Ignaz Semmelweis, which was at first reserved by the family and then donated to the museum. 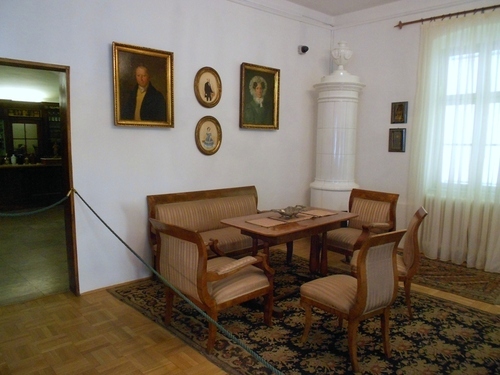 The interior evokes the atmoshere of the 1860s, it presents some outstanding pieces of forniture, pictures, and a rug that belonged to Semmelweis. 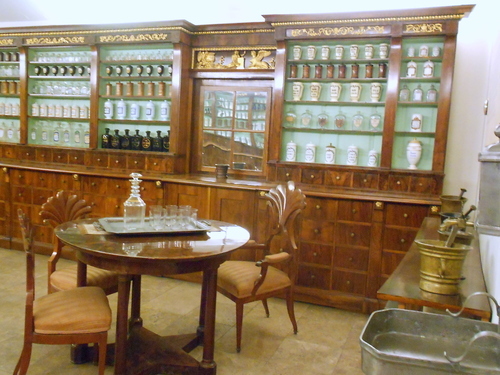 The biedermeier and neo-barouque forniture symbolize the harmony of the bourgeous Welfare. The neo-baroque desk of Semmelweis on which perhaps his main work, the Aetology, was written, stands under the portrait of Balassa, painted by Mihaly Kovacs. 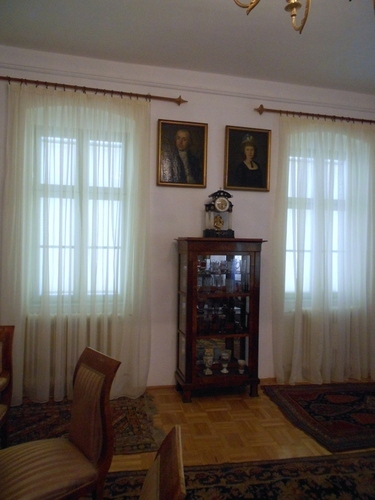 The two simple bookcases are in the biedermeier style of the Steindl-workshop in Pest. 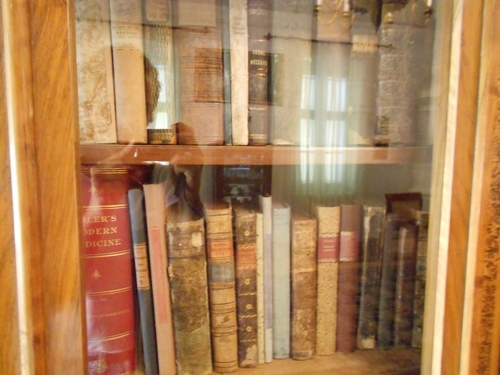 The puritan execution serves only as a frame that assures the predominance of the books. 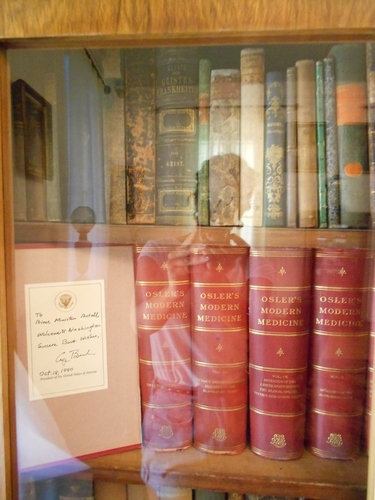 Some valuable remains of the library are on display (such as Osler's Modern Medicine, Cicero, Horatius and Virgil's works in a german-latin series; the Democrite of Karl Julius Weber). The angular saloon table is also an original piece of forniture. An unknown hungarian artist painted the portrait of his mother and father, who ran the grocery store “The White Elephant” located in the house. 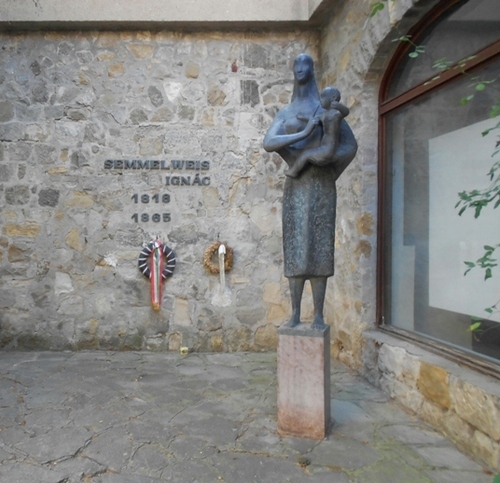 Lenart Landau painted the portrait of the 12-year-old Semmelweis. The aquarelle potraits of Ignaz Semmelweis and his wife, Maria Weidenhofer, were made in the year of their wedding by a contemporary portrait-printer, Agoston Canzi, and beside the preserved photographs of Semmelweis, this can be regarded his most authentic portrait. 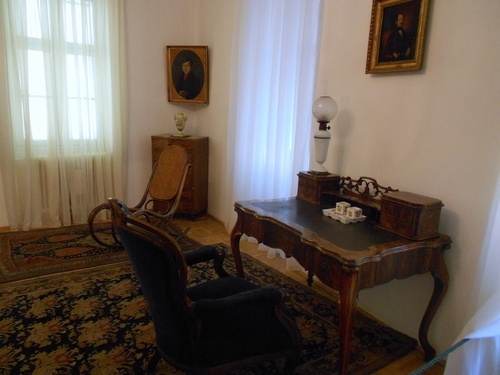 The room also contains the restored rug of Semmelweis, a savonnaire with blue backgroung that covers the floor of the room from wall to wall; the white stove; the contemporary luster; the silver plate from the workshop of a Goldsmith in Buda; the frothy curtains (copies). 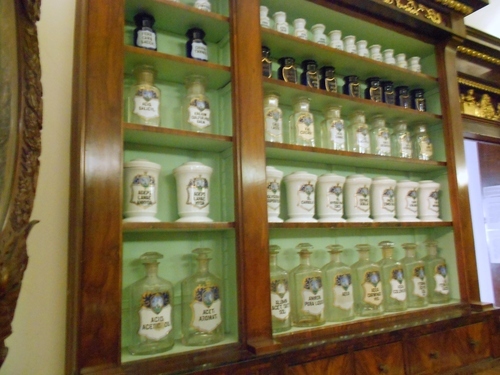 The Holy Ghost Pharmacy of Kàroly Gomory from 1813 has been reconstructed in this museum. 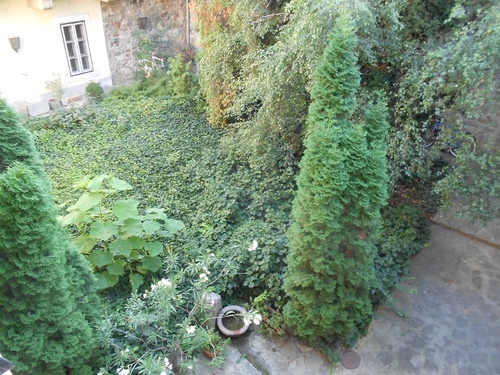 Kàroly Gomory was a scientist, pharmacist and army captain from Pest, elected freeman of the town. 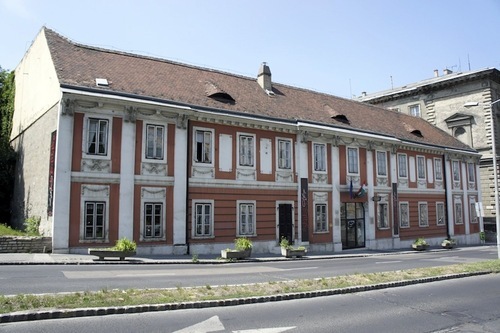 He was born in Gyor, in 1779, and served his licence as assistant chemist in Pozsony and graduated in chemistry at the University of Vienna in 1801. 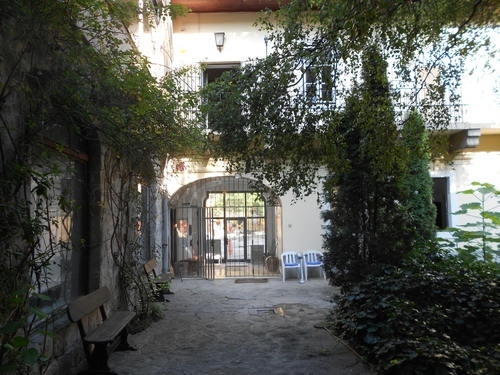 Gomory commissioned Mihàly Pollack (1773-1855), the eminent architect of the National Museum, to design a pharmacy house for him in Kiraly Street in 1812. 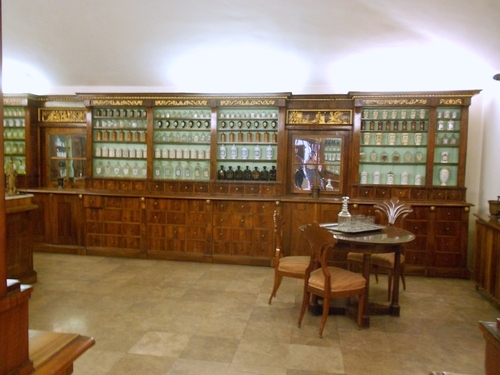 The manufacture of the designs of this pharmacy was fulfilled by the cabinet-maker Marton Rosznagel of Pest, while the decorative wood carving was made by Lorinc Dunaiszky, a famous sculptor.